a.Travel in Club Europe from London Gatwick to Malaga, Bilbao, Bordeaux, Cagliari, Cologne, Catania, Dubrovnik, Geneva, Ibiza, Almeria, Lyon, Turin and Venice is available for selected outbound travel dates between 8 January 2019 and 15 June 2019.
b.Travel in Club Europe from London Heathrow to Aberdeen, Malaga, Amsterdam, Stockholm, Athens, Barcelona, Belfast, Bilbao, Billund, Bologna, Brussels, Basel, Budapest, Paris, Copenhagen, Dublin, Dusseldorf, Rome, Frankfurt, Gibraltar, Gothenburg, Geneva, Hannover, Hamburg, Helsinki, Inverness, Kiev, Krakow, St Petersburg, Milan (Linate and Malpensa), Lisbon, Luxemburg, Lyon, Marseille, Munich, Nice, Oslo, Bucharest, Prague, Pisa, Sofia, Stuttgart, Toulouse, Berlin, Venice, Vienna, Warsaw, Zagreb and Zurich is available for selected outbound travel dates between 7 January 2019 and 19 May 2019.
c.Travel in Club Europe from London City to Amsterdam, Malaga, Dublin, Dusseldorf, Faro, Frankfurt, Geneva, Ibiza, Mykonos, Munich, Milan (Linate), Paris, Nice, Palma Mallorca, Prague, Rotterdam, Berlin and Zurich is available for selected outbound travel dates between 6 January 2019 and 19 May 2019.
d.Travel in Club World from London Gatwick to Cancun, Antigua, Bermuda, Barbados, Grenada, Kingston, Lima, Mauritius, Providenciales, Port of Spain, Punta Cana, San Jose (Costa Rica), St. Kitts, Tobago and St. Lucia is available for selected outbound travel dates between 4 February 2019 and 30 December 2019.
e.Travel in Club World from London Heathrow to Abu Dhabi, Johannesburg, Cape Town, Durban, Seychelles, Muscat, Tokyo (Haneda and Narita), Osaka, Hong Kong, Seoul, Beijing, Shanghai, Bangkok, Kuala Lumper, Singapore, Sydney, Buenos Aires, Rio de Janeiro, Sao Paulo, Santiago, Nassau and Grand Cayman is available for selected outbound travel dates between 13 January 2019 and 13 December 2019.
f.Travel in First from London Gatwick to Bermuda, Grenada, Port of Span, St. Lucia and Barbados is available for selected outbound travel dates between 28 December 2018 and 30 December 2019.
g.Travel in First from London Heathrow to Santiago and Sao Paulo is available for selected outbound travel dates between 17 January 2019 and 10 December 2019.
h. Prices may vary based on the dates selected for outbound and inbound flights as part of a return journey. a.The following routes require a Saturday night stay in Club Europe: London Heathrow to Aberdeen, Malaga, Amsterdam, Stockholm, Athens, Barcelona, Belfast, Bilbao, Billund, Bologna, Brussels, Basel, Budapest, Paris, Copenhagen, Dublin, Dusseldorf, Rome, Frankfurt, Gibraltar, Gothenburg, Geneva, Hannover, Hamburg, Helsinki, Inverness, Kiev, Krakow, St Petersburg, Milan (Linate and Malpensa), Lisbon, Luxemburg, Lyon, Marseille, Munich, Nice, Oslo, Bucharest, Prague, Pisa, Sofia, Stuttgart, Toulouse, Berlin, Venice, Vienna, Warsaw, Zagreb and Zurich. b.The following routes require a Saturday night stay in Club Europe: London City to Amsterdam, Malaga, Dublin, Dusseldorf, Faro, Frankfurt, Geneva, Ibiza, Mykonos, Munich, Milan (Linate), Paris, Nice, Palma Mallorca, Prague, Rotterdam, Berlin and Zurich. c.The following routes require a minimum 3 night stay in Club World: London Heathrow to Bangkok and Kuala Lumpur. d.The following routes require a minimum 5 night stay in Club World: London Heathrow to Hong Kong and Seoul. e.The following routes require a minimum 7 night stay in Club World: London Heathrow to Beijing and Shanghai. f.The following routes require a Saturday night stay in Club World: London Gatwick to Cancun, Antigua, Bermuda, Barbados, Grenada, Kingston, Lima, Mauritius, Providenciales, Port of Spain, Punta Cana, San Jose (Costa Rica), St. Kitts, Tobago and St. Lucia. g.The following routes require a Saturday night stay in Club World: London Heathrow to Abu Dhabi, Johannesburg, Cape Town, Durban, Seychelles, Muscat, Tokyo (Haneda and Narita), Osaka, Kuala Lumper, Singapore, Sydney, Buenos Aires, Rio de Janeiro, Sao Paulo, Santiago, Nassau and Grand Cayman. h.The following routes require a Saturday night stay in First: London Gatwick to Bermuda, Grenada, Port of Span, St. Lucia and Barbados. i.The following routes require a Saturday night stay in First: London Heathrow to Sao Paulo and Santiago. a. For all travel on the following routes an advance purchase of 14 days is required for Club World and First: London Gatwick to Antigua, Barbados, Grenada, Kingston, Lima, Mauritius, Providenciales, Port of Spain, Punta Cana, San Jose (Costa Rica), St. Kitts, Tobago and St. Lucia. b. For all travel on the following routes an advance purchase of 14 days is required for Club World: London Heathrow to Abu Dhabi, Johannesburg, Cape Town, Durban, Seychelles, Muscat, Tokyo (Haneda and Narita), Hong Kong, Osaka, Seoul, Shanghai, Beijing, Bangkok and Kuala Lumper. c. For all travel on the following routes an advance purchase of 21 days is required for Club World: London Gatwick to Cancun. d. For all travel on the following routes an advance purchase of 90 days is required for Club World and First: London Gatwick to Bermuda. e. For all travel on the following routes an advance purchase of 21 days is required for Club World: London Heathrow to Bangkok, Kuala Lumpur, Singapore and Sydney. 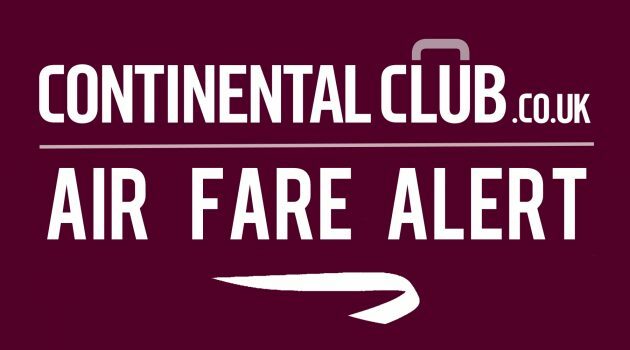 f. For all travel on the following routes an advance purchase of 28 days is required for Club World: London Heathrow to Buenos Aires, Rio de Janeiro, Sao Paulo, Santiago, Nassau and Grand Cayman. g. For all travel on the following routes an advance purchase of 28 days is required for First: London Heathrow to Santiago and Sao Paulo. The promotion applies only to flights on the routes specified on ba.com. These are operated by BA except where shown to be operated by Qatar, Iberia, Japan Airlines or American Airlines. The promotion does not apply to travel on any other BA franchisee or alliance airline, or any flight operated by a codeshare partner. All promotional flights in the Premium cabins (Club Europe, Club World and First) are non-refundable and non-changeable.